There’s certainly a lot more to the west coast of the USA than simply California. Why not head further north and spend some time in Seattle? Washington State’s largest city has a lot to offer, and is one of the most unique cities in the entire United States. Seattle, set on the beautiful Puget Sound, is a west coast city with a difference. This once small fishing port has grown beyond recognition over the last several decades, but still has the atmosphere of a small, seaside town. Although the city is famously home to the first ever Starbucks, located right outside the iconic Pike Place Market, coffee isn’t the only great thing you’ll find in Seattle. The many different neighborhoods of the city each have something special and unique to offer, whether it is great, unique dining options, an abundance of cute bars and coffee shops, boutique clothing stores, or fantastic art galleries. 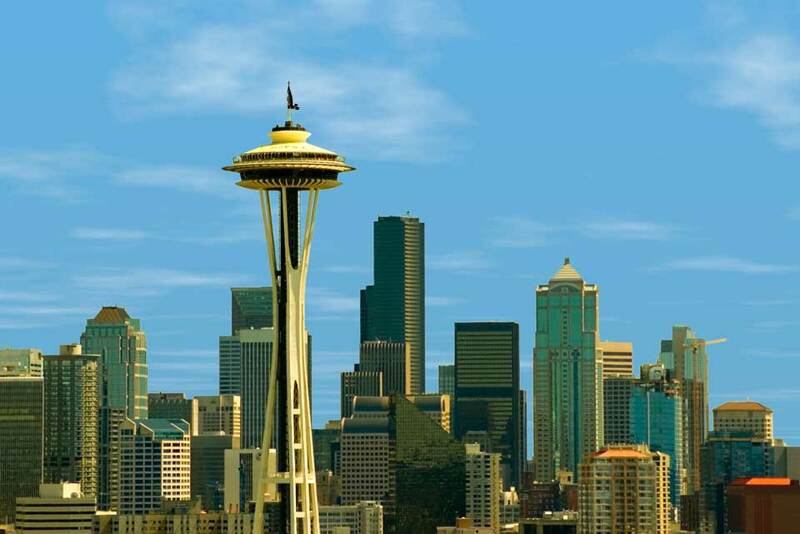 You’ll never be short of something to do in Seattle! Not only is Seattle alive with activities and opportunities, the city has the perfect place for you to go and take it all in – at the very top of the city’s tallest building, the Space Needle! Visiting the Space Needle is a must do while in Seattle, and it’s something you should not only do once, but twice! During the day, you will have a much different experience to when you take a trip up the needle at night. On a clear day, you will be able to see the entire city in all its glory, from the university district in the east to the market and waterfront, with exceptional views of the coastline as well. What’s more, the towering Mount Rainier can be seen in the background, looming over the entire city in a way that will simply leave you in awe. You can even enjoy a meal or a drink at the top of the needle, so take your time and take in the city. Mount Rainier is a currently active volcano, and a fantastic skiing destination as well. If your visit to Seattle happens to fall in the winter, a trip up the mountain should definitely be on your to do list. One of the best ways to get to Mount Rainier is via a Seattle van rental. 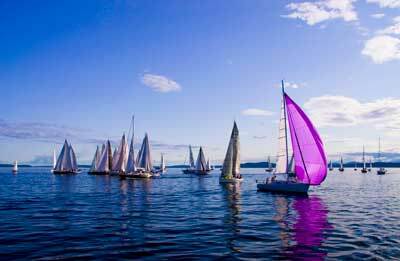 A van rental from Seattle will provide you with the freedom to explore the whole Puget Sound area at your leisure as well as to spend a day or two skiing on the mountain. Even if you visit Seattle in summer and can’t ski on Rainier, a van rental from Seattle and a drive up the mountain is still a fantastic activity. There are a range of great hikes and different areas of the mountain to explore, and the views are simply breathtaking. A van rental from Seattle can let you explore other aspects of Washington State, like the fantastic wine country in the south east of the state. Drive to Walla Walla and sample some of the finest wines that the whole country has to offer. On the return journey, drive via Mt St Helens, which so famously erupted in 1980. The drive is a fascinating one, with much information along the way about the science behind the eruption, the rehabilitation process, and what has happened in the 30+ years after the explosion. There is some wonderful wildlife viewing, and some picturesque hiking on offer. Whether it’s to explore the city, or use a van rental to get further afield, a trip to Seattle will be one you remember forever.